At the December 2017 Eurozone Congress, several proposals were made. Pierre Moscovici, a former French Minister of the Economy and Finance, talks about his wish for an ambitious European roadmap for the 2019 European elections. 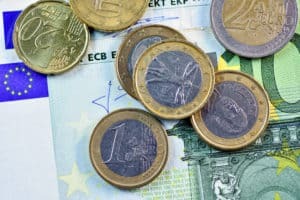 The road map for progressives in the 2019 European elections must be ambitious on the subject of the eurozone. The proposals I made on behalf of the Commission last December can constitute a solid basis here without restricting our horizons. The overall context remains favourable but uncertain: France wants to have a stronger voice in Europe: in Germany the SPD is finally on the way into a coalition; the Commission wants bold proposals. It is when this “golden triangle” is mobilised and aligned that the Union gives the best of itself. Let’s see if it can use the window of opportunity that is opening on reform and deepen the eurozone before the end of 2018. The December proposals have a simple objective: to avert the danger of a eurozone that is economically and socially at two speeds, paving the way for its destruction by the populists. They are a first step, which still needs to be improved in the dialogue with the European Parliament and the Member States. Let’s take it as such. 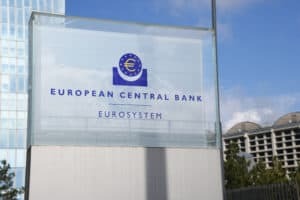 A European Monetary Fund (EMF) must be created to give Europe autonomy in managing internal economic and financial crises, such as with the Greece crisis. It will be established within the EU’s structure to give a stronger voice to the European Parliament. 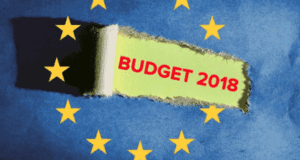 Above all, the EMF will provide a common budget support mechanism to the Single Resolution Fund – a “backstop” which will instil confidence in the European banking sector. The principle has already been agreed by national govern- ments, but it has to be put into operation. The last, and for progressives, most important element of the package concerns the eurozone budget. The challenge will be to give it an ambitious outline, not only with a sufficient size but also in its design and operation, so as not be based solely on loans and conditionality. We must avoid falling into the trap set by the conservatives elsewhere on the Multi-annual Financial Framework (the EU’s budget) – and resist the attempt to introduce into this context more conditionality, technical supervision, loans and financial instruments and less attention on convergence. These proposals are not perfect but they contain promises that our family must grasp. Firstly, because they recognise our main concern – the need for convergence in the eurozone – and propose the embryo of a new tool to deal with it: a eurozone bud- get. Secondly, because they pave the way for a major institutional imperative: more democracy in the governance of the eurozone. For progressives, these are useful foundations on which to build an ambitious agenda for 2019. Let’s turn them into real breakthroughs.